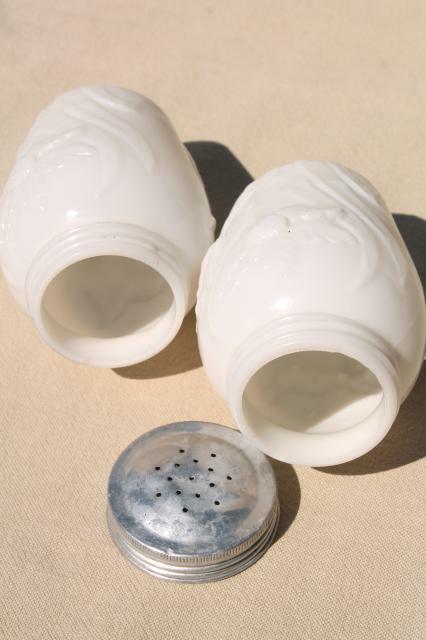 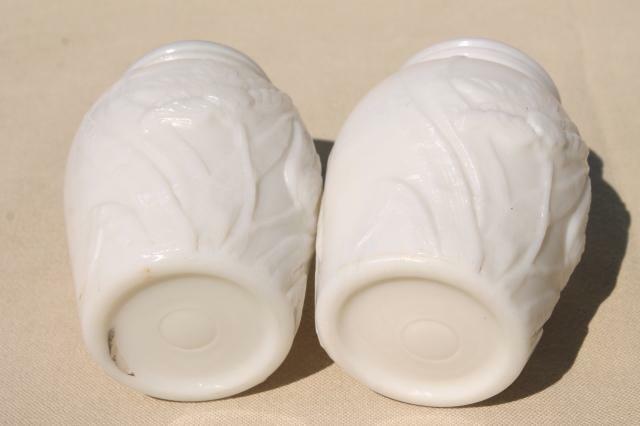 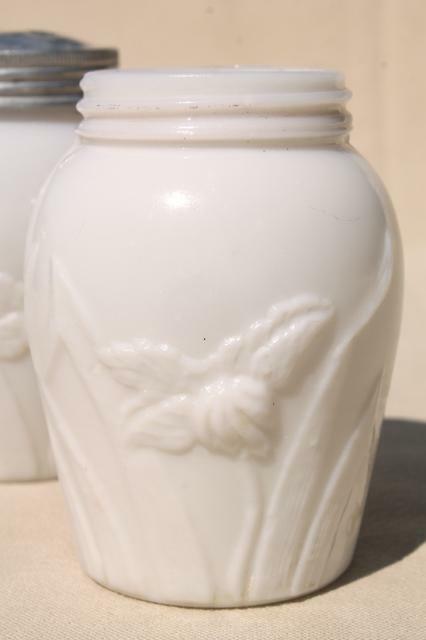 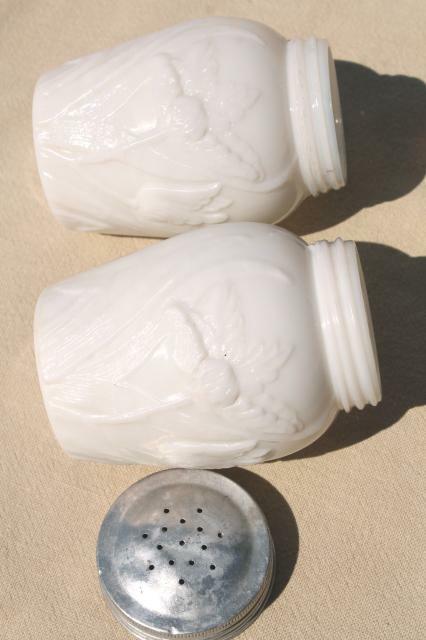 Vintage milk glass salt and pepper or spice jars with embossed tulips floral pattern. 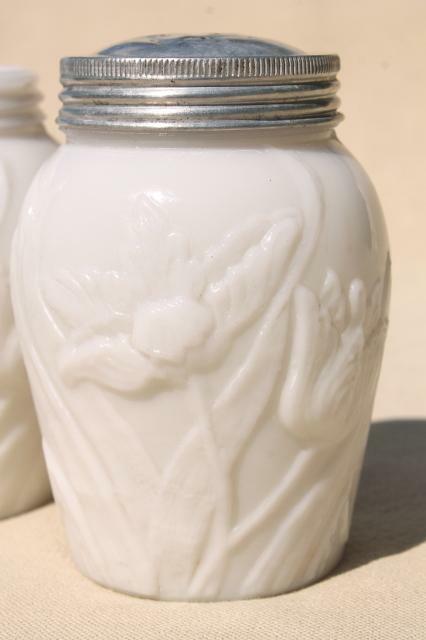 The jars are about 3 3/4" tall. 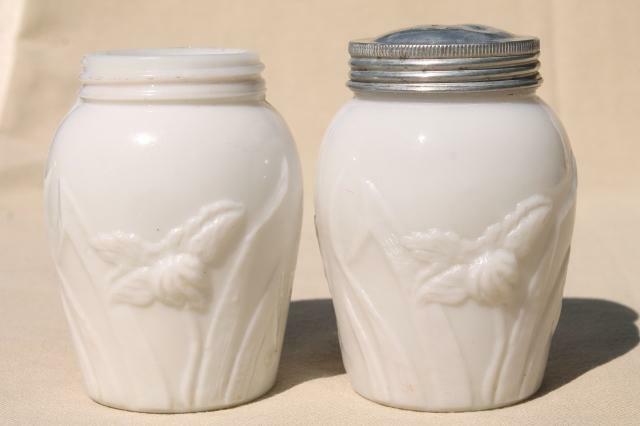 Both glass jars are in very good condition without damage. 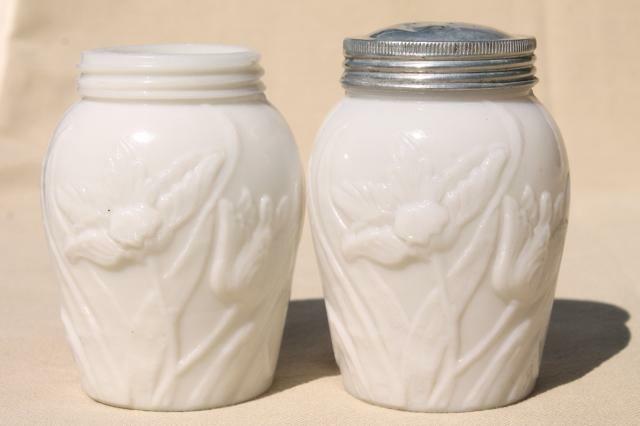 Only one of them has the old metal lid, and that lid is in poor condition.